Perfect Illusion by clever perspective reduction. 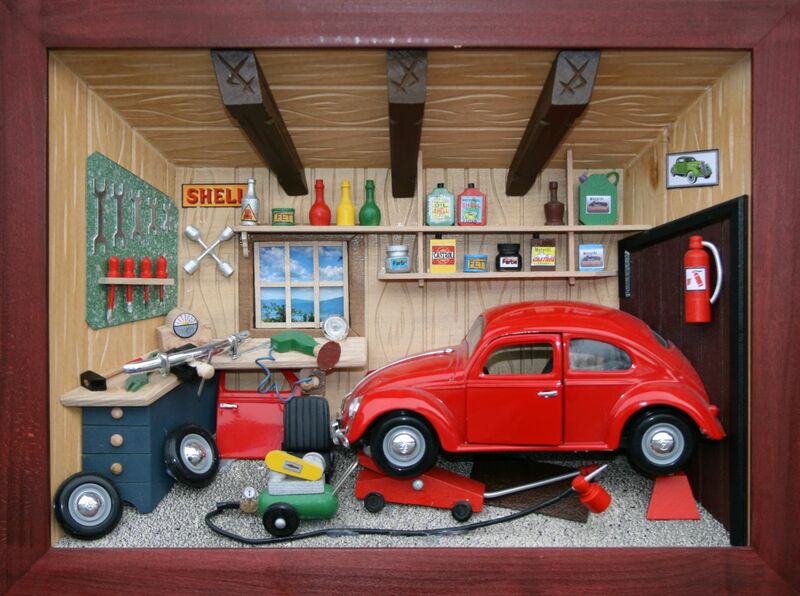 Every single 3D picture is assembled of numerous small items by hand. Almost all parts are made ​​of solid wood. Each 3-D wooden picture is over 2 inches deep. The walls, the wooden beams of the ceiling and the cabinets are to the rear smaller so that there is the impression of a perfect space depth.